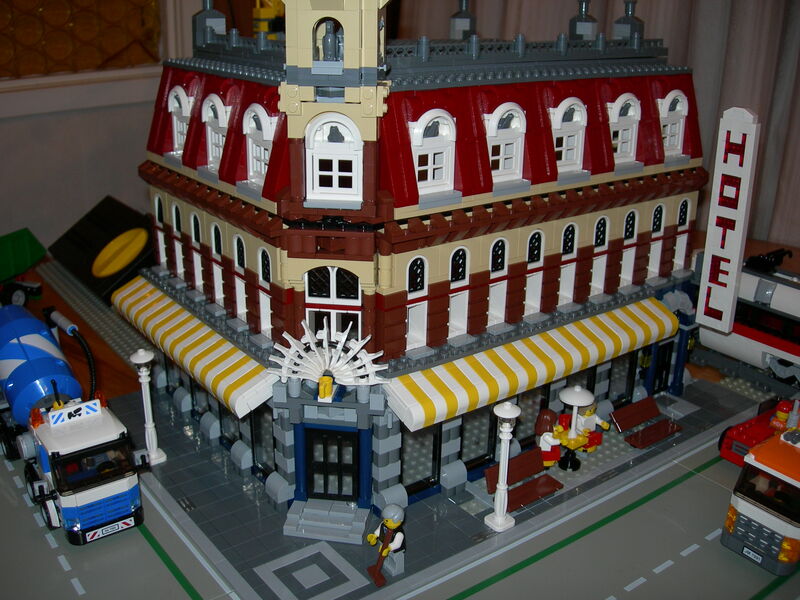 Brick Town Talk: Cafe Extension - LEGO Town, Architecture, Building Tips, Inspiration Ideas, and more! I'm considering to buy the 10182 and the 10190. Those sets are so incredible! I landed on this website were people post pictures of there inspiration with the 10182. nzlegofan's Cafe extension has the 7990 and the 7991 to! I was planning to get those also. Are there people how have added an interieur to there 10182 or 10190? I would really like to see some! Inspiration is very welcome!